Uploaded Dentalia theme to wordpress sucessfully and installed plugins, but cannot figure out how to upload demo content. Where does the file of demo content live in my Dentalia downloaded files? Where to I upload it to? 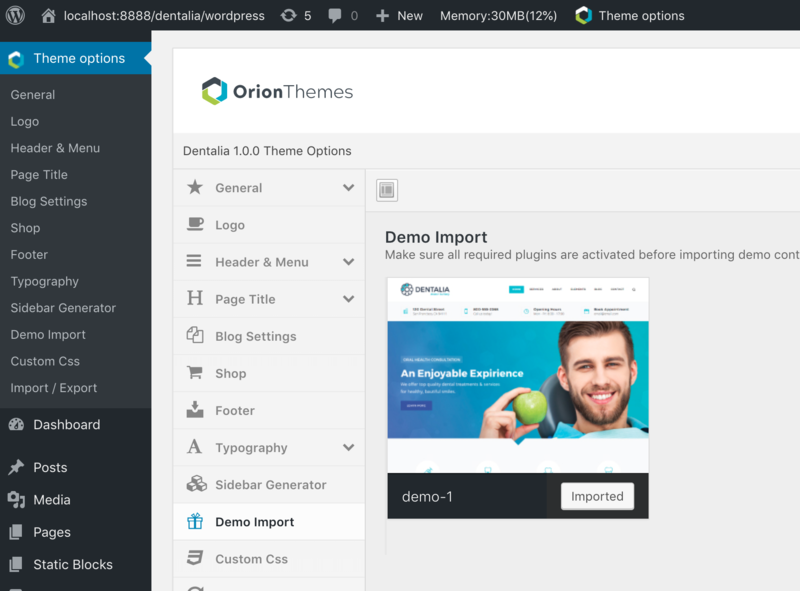 The instructions say "Go to Theme Options and click on the Import button" but I can't find theme options? Please recheck if the Dentalia plugin is installed and activated. You should be able to check this in the Plugins menu. Please let me know, if everything goes smoothly.